Gwoza is one of the Local Governments situated in the Southern part of Borno State. It is one of the many Local Government Areas that was ravaged by the Boko Haram insurgents over the years. This development compelled us to abandon our ancestral homes in search of refuge across the country and further spread into Cameroun as Internally Displaced Persons (IDPs). However, before Boko Haram became a national menace, we have had to endure untold hardship, marginalization, abduction of our girls (minors) and discrimination on the bases of religion and ethnicity. The military, in its well-orchestrated counter terrorism operations, has brought down the dreaded Boko Haram to its knees. We wish to commend the efforts of the military under the administration of President Mohammadu Buhari GCFR. This development necessitates that we return back to and rebuild our ancestral homes, in addition to the Federal and State governments call for IDPs to do so. We welcome this development. But out there in IDP Camps and other place of refuge, we witnessed what we thought was not possible. We have seen how people of different religions and ethnicity interacted freely and equitably with one another. We worked together and have respect for one another despite their differences in pursuit of common goals. And now that we are being called upon to return, we are determine to go back to an egalitarian setup and not where we will live as second class citizens again, but as free nationalists who have the same rights and privileges as every indigene of Gwoza. a) There are 92 public primary schools in Gwoza local government area with each halving an Arabic/Islamic (IRK) teacher but none has a Christian Religion Knowledge teacher. Before the coming of Boko Haram, Christian pupils had to go out of the classrooms to play outside to give room for the Islamic pupils during IRK lesson, a practice most disheartening in an area with sizeable number of Christians. Sometimes, some of these Christian pupils were even forced to remain in the class to learn Islamic studies against their parents� wishes. This issue was so bitter that the Christian Association of Nigeria, Gwoza branch, took it to the High Court in 1978 at Maiduguri. When the Borno State observed that the matter was tilting in favour of the CAN, it sought for out-of-Court settlement and so the case was withdrawn. This discriminatory policy is a fundamental breach on our constitutional right not to be discriminated on the basis of religion. While some Local Governments in southern Borno have the privilege of teaching their pupils Christian Religion Knowledge in public schools, Gwoza Christians have consistently been denied this right as is enshrined in the primary and secondary schools curriculum. b) Another unholy policy in Gwoza is that lands meant for the construction of Churches are difficult to secure even with money, meanwhile, all public lands within towns and villages of Gwoza have at-least one or more mosques built with nothing paid for the land. There is no single mosque in Gwoza Local Government for which the land was purchased using money, but on the other hand, every single land that a church was built on within Gwoza Local Government area was purchased and paid for including the indigenous churches. Burning of churches has been on before the coming of Boko Haram and there has never been compensation for any that was burnt because it was assumed that churches have no right to exist within Gwoza. c) Both Christians and non-Christians workers works for the good of this country and so they should enjoy the outcome of their services on equal basis without favouring one side over the others. In Gwoza Local Government today, people are required to convert to Islam before they are offered employment and promotion. 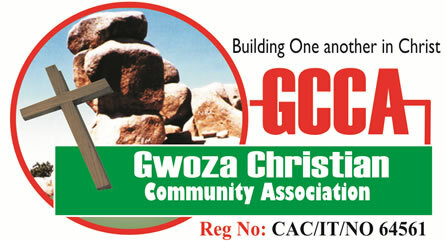 Christians of Gwoza constitute only 5% of the total workforce in the Native Authority regardless of our sizeable number. d) Gwoza Native Authority has one (1) first class Emir, sixteen (16) District Heads, and seventy seven (77) Ward Heads out of which Christians have only one (1) District Head and four (4) Ward Heads. Recently, Alh. Muhammad Shehu Mustapha IdrisaTimta, by the design of God succeeded his father of blessed memory. He is loving, kind and just to all his subjects regardless of religion. We believe he will wipe away our tears on the above. e) Political appointments have been structured to disfavour Christian. This is because Local Government political positions are by appointment not by election. The governor of Borno, His Excellency Alh. Kashim Shettima appoints all the Local Government Caretaker Committees, from the chairman to the last counselor. And even in areas where Christians have a population of about 80% and more, we are completely denied appointments simply because we are Christians. Just of recent, 13 counselors were appointed out of the 13 wards of Gwoza Native Authority, no single Christian was appointed as counselor, including the chairman and the vice chairman. This is regardless of the fact that Christians constitute about 70% to 90% of 8 out of the 13 wards. Two commissioners and members of resettlement, reconstruction and rehabilitation committees were appointed from Gwoza and none was a Christian. f) Marrying our girls (minors) by force has been rampart before the insurgency. Cases of abduction of Christian girls being forced to marry Muslims were weekly occurrences. When taken to court, the cases were thrown out against the guardians or parents. Most of these girls were mostly lured by material gifts and money with false assurances and taken to the Waziri�s house (Traditional Ruler). The Waziri then performs the wedding ceremony without the consent of their parents. Several of such cases were pending before the advent of Boko Haram. It was a direct confrontation in which the rights of Christian citizens were flagrantly abused without any remorse at all. g) There are 276,312 people in Gwoza Local Government area according to 2006 National Population Census. 60% (165,787) of that population comes from Gwoza East. The landmass of Gwoza is 2,883KM2 and Gwoza East has 30% (865 KM2) of the land. That means a person occupies half of a hectre for living and farming. By the time we deduct 30% of that land for Public facilities and also consider today�s population, a head can hardly get half of that. That is why 4 out of the 6 towns we have at our border with Cameroun have no option than to stretch into Cameroun. Today, 60% of Ashigashiya is in Cameroun, 50% of Kirawa is in Cameroun, 60% of Jibrilli is in Cameroun, 30% of Koghum is in Cameroun and very soon places like Barawa and Arboko will join the train since people are compressed without land to live and farm, except crossing over to Cameroun. Other places they go for farming use to be Baga and Chad areas as a result the insurgency have killed over 70 of them in those areas. 1) It will remove the future occurrence of harboring insurgency in the area. 2) It will stop Nigerians from migrating to Cameroun. Today, we now have more than three thousand families who migrated and their children attend Cameroonian schools. 3) It will build up capacities as youths will get engaged in farming than looking and waiting for white-collar job. 4) It will also reduce and checkmate smuggling, which has become an entrenched custom in international border areas. a) The study of Christian Religious Knowledge be reintroduced in all public schools within Gwoza in line with the national curriculum. b) That there be fairness in the allocation or purchase of lands for the purpose of construction of places of worship. No group should be favoured over the other, in line with the oaths of public officers in Nigeria. c) For all persons to practice their religion without being intimidated, discriminated upon or using employment or promotion opportunities in public offices to manipulate others into abandoning their constitutionally guarantee right to practice the religion of their choice. d) To have a fair representation in the Gwoza Emirate Council. Before now, Christians had only one representative in the Council (Wazirin Krista) but Boko Haram killed him and no replacement was made. e) To carve out the part of Sambisa Forest that is close to Gwoza and add same to it in order to guarantee adequate land for living and farming is available. f) The President of the Federal Republic of Nigeria, Mohammadu Buhari GCFR, in conjunction with the Borno State Government, to order for the creation a room for total reconciliation with all Gwoza Elders of both religions in order to consolidate on the gains already recorded in creating a peaceful environment for Borno State and Nigeria to develop. Your Excellency sir, the issues we have raised here are real and germane, they must not be swept under the carpet. Out there as IDPs, we have tasted what it means to be free and we will continue to seek for freedom. Nigeria has had its freedom since 1960 but we are yet to experience that in Gwoza in 2016. For these reason we are crying, calling and seeking for total reconciliation with all faiths. We are willing to live and work with everybody to build our God�s giving land, Gwoza.